KKR has acquired a recently completed 406.7k sf industrial distribution building in the Inland Empire city of Perris for $43.5 mil ($107/sf). The building was sold by the developer, Rockefeller Group. The building, located at 4150 Patterson Ave, within Optimus Logistics Center, a 1.45 msf foot industrial complex, is the second building to be completed and sold at the project, following the September 2018 sale of a 1.04 msf distribution building to Ferguson Enterprises. Rockefeller Group completed construction of Optimus Logistics Center, which is a joint venture of Rockefeller Group and MBK Real Estate (MBK), in September 2018. KKR is making the investment through its Real Estate Partners Americas II Fund. Mike McCrary, Peter McWilliams, Sharon Wortmann and Scott Coyle of JLL represented both parties in the deal. 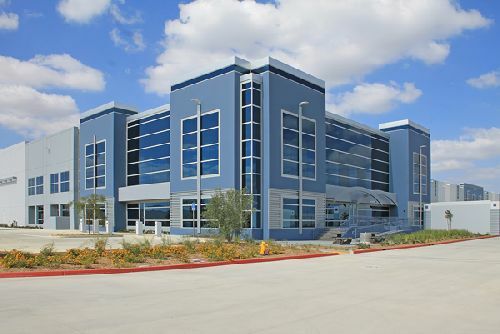 Along with the completion of Optimus Logistics Center, Rockefeller Group completed 425.5k sf of distribution space consisting of two buildings at Tri-City Industrial Complex in San Bernardino. One of those buildings (81.3k sf Building #2) sold to 4F Capital in September 2018.